27 Tips For Hiking With Kids: They’re Never too Young to Start Hiking! These days getting outdoors feels like it’s getting harder and harder. We live in a connected world and staying inside has never been easier or more entertaining. There are dames at our fingertips, movies one click away, and digital distractions around every corner. 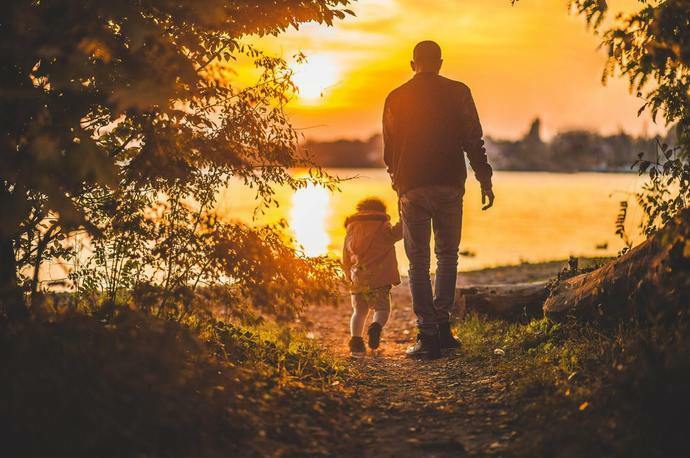 The passion for enjoying the outdoors starts at a young age, the time when kids would play with their friends until the sun goes down is a distant memory. Kids today are totally content with staying inside and “playing” with their friends in other ways. It’s important to expose the younger generation to the outdoors at an early age so they grow up with a passion and love for nature they want to share with the world. 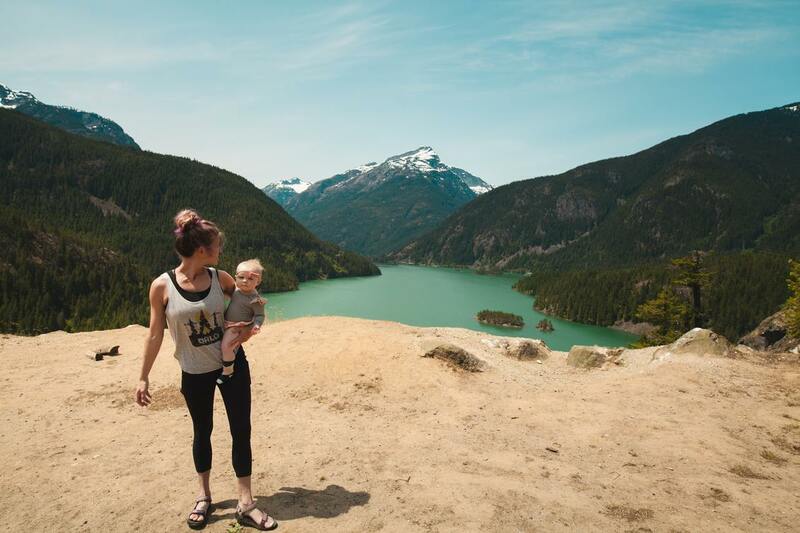 Hiking with kids is the perfect way to show them the wonders of the natural world. There’s no way to beat around the bush, there are going to be challenges hiking with kids of all ages. Starting your kids hiking at a young age is the best way to show them how awesome the outdoors can be and hopefully they get the “bug” along the way. Children love to have fun. Use their imagination and curiosity to your advantage and make the hike entertaining with information and possibilities. Tell them there’s a chance they might find dinosaur fossils, make a map and let them take the lead, or have a scavenger hunt for different things along the trail. If you’re hiking in a National Park enroll them in the Junior Ranger Program. They get to “explore, learn, and protect.” Whatever you do, find a creative way to make the hike more enjoyable for the little ones. 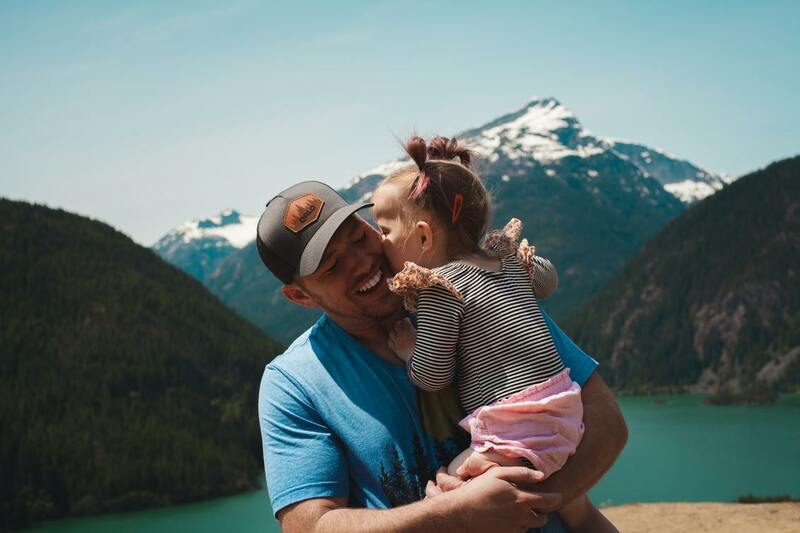 You’re not going to be able to take a little one on a 7-mile round trip hike with 2000 feet of elevation gain. Remember that this is about them, they have little legs, and a fraction of thee energy we have. Start them off with a short and easy hike and slowly work your way up as they get older. Every kid has them and if we (as adults) didn’t have the social awareness there are times when all of us would throw a tantrum. Just understand that meltdowns are going to happen and are completely normal. Be ready to calm them down and handle it the same way you would at home. Pull to the side of the trail, talk about it, have something to eat, and keep going. Safety on the trail is one of the first lessons to teach. Pack a first aid kit for the occasional cut or bruise and keep an eye on steep ledges and hills. Hiking is a rewarding activity but with a few missteps accidents do happen, be clear with the rules and point out dangers as you see them. The Leave No Trace Principles are a core set of beliefs that hikers around the world use. There never too young to start learning about how important it is to protect the environment so they get to enjoy it forever. They don’t have to memorize them or even remember every rule, just having a basic understanding of how important it is to be kind to mother nature goes a long way. Even the most experienced hikers can get lost in the woods with a couple wrong turns. Let them play and explore the plants, trails, and the world around them. Just be sure to let them know that you need to be able to see them and they have to see you. Kids have a natural curiosity and desire to explore. They want to stop and turn over rocks, touch everything, and get dirty. This is one of the best parts of hiking with kids, so take your time and be curious right by their side. Your kids are going to need to take lots of breaks. Hiking requires lots of energy and their little bodies are going to need to stop often. The last thing you want is to have to carry the little ones all the way back to the car. Kids don’t get to be in charge very often and they love to take the lead. Let them take turns leading the group and give each kid a turn, it makes them feel empowered and gives them a sense of purpose. This also guarantees that the pace is slow so they don’t burn out too fast. It’s no secret that kids love water so use this to your advantage. Find a hike near a river or a lake so the kids can enjoy the water and get wet. Just be sure to bring swimwear and a change of clothes for the way home so they stay comfortable. Hiking can be a solitary journey of self-discovery and there is a time and place for that as the kids get older. For now, hiking with their friends is always going to be more fun for them, don’t take it personally. An added benefit is that kids tend to complain less and be on better behavior when their friends are around, it’s a win-win. Staying hydrated is always important, more so when the weather is hot. It’s easy to forget to drink water as an adult and when you’re lost in the awesomeness of hiking as a kid it’s the last thing on their mind. Make sure you bring enough water for everyone and stop to hydrate regularly. Hiking sticks for kids are not required but make hiking way more fun. Kids love sticks and finding the perfect hiking stick is a little game that will last the entire hike, there’s always a better one! For long hikes, sticks make hiking and balancing on the trail a little bit easier. Pick a trail that is relatively short and has little to no elevation gain. You want your kid’s memories to be awesome so they are begging for more. A grueling hike a good way to leave a bad taste in their mouths, so look for an easy and fun hike with a waterfall, train, stream, or lake as a payoff. There are going to be times when the kids are burned out and ready to go home. The problem is you have no idea when and where this is going to happen, so pack something sweet as a surprise. A lollipop or candy for kids is like crack, they can’t stop and it gives them a short lived burst of energy. Make lists of plants. wildlife, insects, and landmarks along the way for the kids to look for and promise a reward if anyone finds everything on the list. It gives the kids something to stay actively engaged with and keeps them from getting bored. Kids have a lot of questions, like a LOT of questions. It can become somewhat tedious at times answering questions like “why is the sky blue” and “why is water wet.” While hiking you can make it a learning opportunity and answer everything to the best of your ability, it’s OK to make a few things up, we won’t tell! Hiking boots for adults are a multi-million dollar market with hundreds of variations and styles. None of this matter for kids, what does matter is having a comfortable pair of shoes that will support their little feet without causing blisters. Don’t wear new shoes and plan on getting them dirty. Not only will everyone have more energy including yourself. If you’re hiking in summer you want to beat the heat. Starting at a reasonable time in the morning will make the hike more enjoyable for everyone involved. 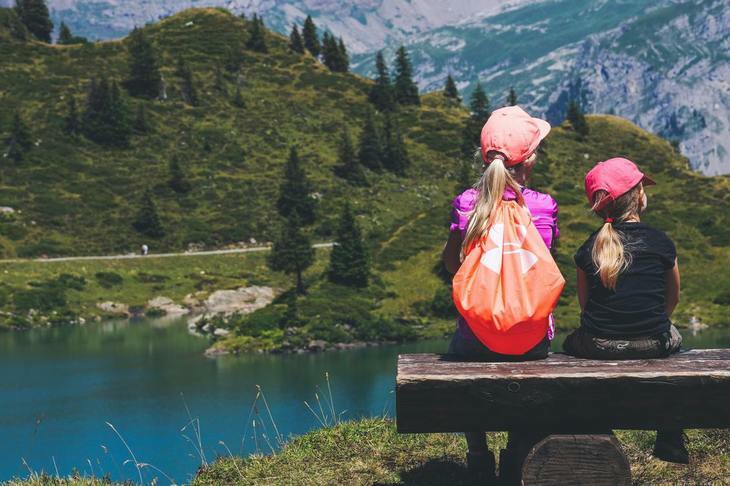 Hiking backpacks for kids are a good thing to have just in case. They can be used for kids up to 5 or 6 depending on how big they are. 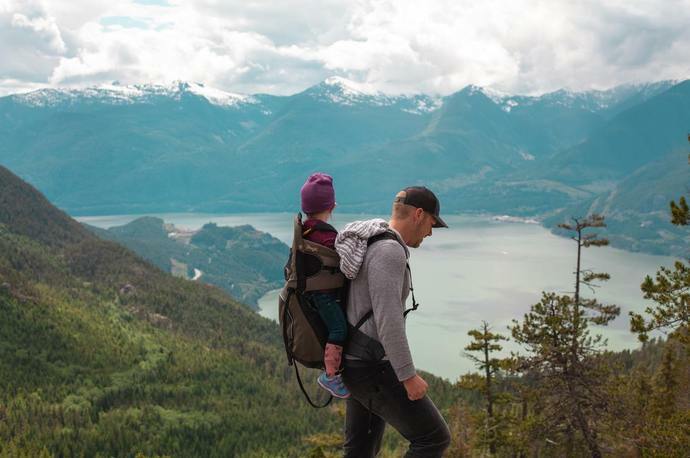 If it’s a long hike and there’s a chance that your kid might gas out, having a hiking backpack is an easy solution just don’t make it the norm. Not carrying the backpack, that’s a job for the adults. Assign roles for each kid, one can be on animal watch, one on bird watch, one on lizard watch, you get the point. This is a great way to make everyone feel like they are really participating in the best parts of the hike. Not everything in nature should be touched and played with. Make it clear what types of things they should stay away from things like wild animals, poison ivy, and dangerous insects. Getting dirty is the kid’s job when they are playing outside and cleaning them up afterwards is the parent’s job. Wet wipes are a quick and easy way to wipe off dirty hands, feet, and faces. Bring a couple packs of wet wipes and let the kids play in the mud! This is a way to get the kids excited before the hike. Trail mix has a number of health benefits and you can make your own with a few ingredients from the grocery store. Set up all the ingredients and let the kids make their own bags and be sure to put a little chocolate in there. Kids get tired easily and turning around is not a failure. As long as you get them out there hiking, it’s a win. Don’t be concerned with having to call it quits early, it will make the kids happy and you’ll keep your sanity. Memories last forever and pictures are a nice reminder of a time in your child’s life that you will always cherish. Take lots of photos for yourself and your kids on the trail. There’s something special about seeing yourself as a child. This is a hard and fast rule. No matter what happens, good or bad, the most important thing that you can do is to remember to have fun. Your child’s younger years are fleeting and won’t last forever, so enjoy and cherish every moment! Hiking with little ones may seem like a daunting task and there are going to be moments when you ask yourself why. There are going to be ups and downs, just remember, the good times will always outweigh the bad. Hiking is a rewarding activity and a true love for the outdoors starts at a young age. Exposing your children to hiking in a fun and entertaining you will know that you did everything you can to share your passion of the outdoors. The moral of the story is to just get out there and hike. Find a trail that the kids will love and show them the way. Get lost and keep wandering.